The Ministry of Transport plans to spend 350.5 trillion VND (15.4 billion USD) to develop the country’s aviation industry from now until 2030. The move is aimed at creating a foothold among the top four leading nations in air traffic in ASEAN. The proposal is part of the ministry’s revised draft on aviation transportation development, which was recently sent to the Government for approval. Of the total sum, 84.4 trillion VND will be invested until 2020. Under the revised plan, the aviation industry will exploit 23 airports with 144 million passengers annually by 2020 and 28 airports with 308 million passengers by 2030. Deputy Minister of Transport Nguyen Van Cong said the draft was updated on the basis of the scientific objections raised by the Science and Aviation Technology Association and Aircraft Design and Consultancy Company Ltd at the request of Deputy Prime Minister Trinh Dinh Dung. “A revision in the plan is needed, creating a legal framework to continuously develop aviation transportation in future and ensuring sustainability and safety,” said Dung. The current plan was approved by the Prime Minister in 2009. After many years of implementation, the scale of aviation market has progressed, but it still ranks the fifth in ASEAN. It has not yet attracted giant airlines to open direct routes to Vietnam, and its infrastructure in a number of airports fail to meet the increasing demand, resulting in overcrowding. 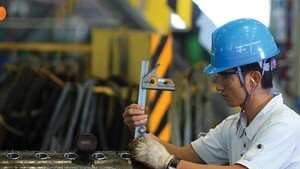 Under the draft plan, Vietnam’s aviation market is expected to be among the top four leading nations in ASEAN in terms of the output of transportation by 2030 in association with the upgrading of Noi Bai, Tan Son Nhat and Da Nang international airports and the opening of three logistic centres in Van Don, Chu Lai and Long Thanh. The ministry predicts that the transport of passengers via domestic airlines will increase at an average rate of 16 percent annually from now until 2020 and by eight percent during 2020-30. Meanwhile, the transport of goods is expected to grow at an annual rate of 18 percent from now until 2020 and at 12 percent annually during 2020-30. The domestic airlines are expected to reach a volume of 64 million passengers every year by 2020 and 131 million annually by 2030, according to the draft. This growth rate is two to four percent higher than the current plan and is also higher than the average growth of the global aviation industry. Many experts believe that the ministry’s prediction is unreasonable, as the International Civil Aviation Organisation, Boeing and Airbus estimate the air traffic growth at a rate of some 1.6 times the country’s gross domestic product growth. In terms of aircraft fleet development, the draft plan estimates the number of aircraft to grow by more than 220 units by 2020 and 400 units by 2030, increasing by 70-100 units compared to the current plan. There are currently four licensed airlines -- Vietnam Airlines, Jetstar Pacific Airlines, Vietjet and Vietnam Air Services Company. To open opportunities for new investors to enter the aviation market, there’s a need to increase the capacity of airports and expand the scale of aircraft fleet in the next three years. According to Decree 118/2015/NĐ-CP issued by the Government in 2015 on detailed regulations and guiding the implementation of a number of articles on the Law on Investment, one of the requirements to receive investment certification is that the project must be suitable with the aviation industry’s development planning. That is why many airlines such as Vietstar Air and Bamboo Airlines, have failed to get licences although they have met the demand on capital and flying capacity. 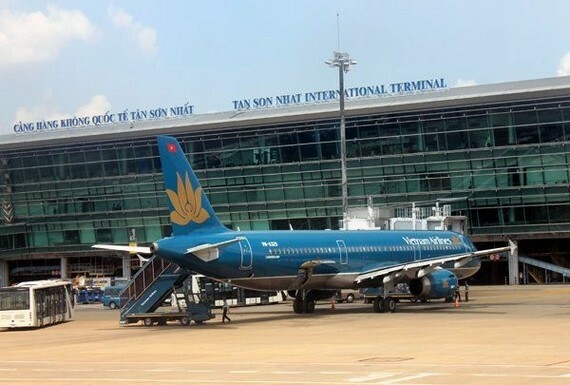 In April last year, the Government announced it would not consider approval of Vietstar Air’s investment plan on aviation transport project and grant it business licence unless the firm completes building additional terminals and airfield in accordance with the planning on Tan Son Nhat International Airport, which has been approved by the Prime Minister. Deputy PM Dung said to raise investment and business results and help enterprises develop in a healthy and sustainable manner, the approval for investment and granting of business licences in the field of aviation must be carefully considered and should be in accordance with the law to ensure aviation safety and security in every facet. General Director of Vietstar Air Pham Trinh Phuong told baodautu.vn that if the draft plan was approved by the Government, his firm would consider airport adjusting to seek the opportunity to operate sooner.